Peace has finally come to Pern. With all Weyrs finally working in harmony, there has been a time of prosperity that has settled over the land. Even with the return of white dragons upon the sands, Pern has adapted, and it seems a new era of unity has brought the land together. The Red Star still hangs heavy overhead, and Thread has become the only threat to Pern as a whole. The Treadfall has become worse than ever, and there are signs that this Pass may be the worst one yet. The new age of peace has allowed a greater freedom among the citizens of Pern. With only the threat of Thread to worry about, many have been allowed to simply live their lives as they see fit. Gathers are more frequent, celebrations have become more common, and lead by a strong Weyrwoman, Fort Weyr has grown strong as well. While some had whispered that the age of peace will lead to another cycle of war, Fort Weyr is determined to not allow the new peace to crumble. The Weyr has banded together, resolved to keep peace through the rest of the Northern Continent through providing aid and resolving disputes diplomatically. The Peacekeeper’s Age has begun. The Queen is dead! Long live the new Queen! Flauros of Gold Ekketoth has been poisoned, and not long after her dragon rose and laid 14 eggs on the sands, succumbed to her sickness. The prime suspect in the poisoning is High Reaches Weyr, who has recently declared themselves Peacekeepers. Many have begun to flee the Weyr and its Holds, seeing refuge in Telgar and Fort Weyr. So far, there has been no confirmation that a spy has come into Fort Weyr, but with High Reaches being the prime suspect, it is unlikely that Fort will be welcoming aide from them anytime soon. They have many other problems to contend with as the fragile peace threatens to shatter. If a diplomatic solution cannot be reached, Pern may collapse into war after only 5 Turns of peace. This leaves Junior Weyrwoman Iirla of Gold Izanycorth, and Weyrleader Quentin of Brown Alith to handle the shifting political climate. With two women leading the weyr, some have whispered of Fort's weakness. They both will need firm allies to stand by them as the hour starts to grow dark. To add to these problems, a great, monstrous gold wher has been spoted around Fort's borders and even around the herdbeast pens and stables! It seems as though there is trouble on all sides! Will Fort be able to withstand the storm, or has the Peacekeepers Age come to an abrupt end? An interesting mix of times has come upon Fort Weyr! Ekketoth's final clutch has indeed given the Weyr a young gold, one who was so bold as to climb into the stands to find her match. Though the young woman she has bonded to is perhaps more ruthless than some older dragonriders would like, there is little time to complain. At the same hatching, both bronzes inexplicably impressed to women! Is this a turning time in Pern's history? Will women riding bronze become a common thing? No one knows for sure, but both young dragonriders will have a hard road ahead of them. High Reaches has only become more and more unpleasant. Sending a brownrider ambassador, the man managed to anger many of Fort's riders and weyrlings, culminating in an all-out fight in the weyrbowl. The brawl ended in Brown Oticath losing his eyes completely, and leaving the Weyrlingmaster's dragon severely injured. The ambassador and his wounded dragon are under arrest, the Wingleaders having decided to allow High Reaches to decide what to do with him. Word has gone out to the other Weyrs, inviting them in to a conclave to discuss the problem with High Reaches. Only time will tell if the meeting is a success. Ista Weyr, in a show of support to Fort Weyr, has sent their Junior Weyrwoman, her gold only days from rising, to assist the struggling leadership. With Fort's Weyrwoman having been scarce, perhaps this presence will be welcome indeed. As the Red Star brings a devastating Threadfall, Fort Weyr must brace itself against the storm. The worst is yet to come. Ista Weyr has been kind enough to loan their Junior Weyrwoman to temporarily take over as Fort's Senior. With the supposed disappearance of Iirla of Gold Izanycorth, the transfer has done quick to set things in order, with Imorith rising only days after they arrived. Caught by a runty, albino brown, there are many rumors of what may lie on the eggs hardening on the sands. With Pern needing to unite, a Conclave of all the Weyrs was called. High Reaches, demanding that Fort step down from their position as Peacekeepers, was met with hostility, denying that they even sent an ambassador to Fort and going so far as to renounce the brownrider in public. With signed confessions from the High Reaches men who admitted to poisoning Flauros, it seemed that Fort was ready to properly accuse the other Weyr. However, during the proceedings, a dragonless guard murdered High Reaches' Weyrleader, and severely wounded the Senior Weyrwoman. With threats of violence and death upon the rest of Pern, the pair retreated to High Reaches. A cloud of uncertainty now hangs over the Peacekeepers Age. Will this crumble into a new stage of war? Imorith graced Fort Weyr with 16 healthy dragonets. Though none of the gold eggs yielded a gold dragon, Pern has seen the appearance of another strange color, a red-skinned mutation called a Garnet. How these dragons will shape the face of Pern is yet to be seen. How will these new females fit into the color hierarchy? Only time will tell. Not days after the clutch hatched, disaster struck Fort. High Reaches, having been silent for so long, launched an outright attack! Two full wings lead by bronzes descended upon the weyrbowl, intending to lay waste to Fort Weyr, lead by D'go of Bronze Elizerth. Fort responded with fire and violence, organized not unlike the war. Though Fort lost one of their dear own, with countless others wounded, High Reaches in turn lost the majority of two whole wings. D'go and his bronze were toppled by the mutant Cabadath, left terribly crippled and alive to face punishment. Many of High Reaches' green and blueriders surrendered, wishing to join the Peacekeepers instead of return to Golre's madness. The Golden Ghost, the wild gold wher who has donated eggs to Fort Hold in the past, was not absent at the battle. Seen Betweening, the massive creature outright killed a High Reaches dragon, cementing that she is an odd, monstrous protector of the weyr and its holds. This has not stopped many from deciding to hunt her, trying to seek out her eggs. In the wake of the warfare, Kallia has faced severe resistance. After trying to impose restrictions on the weyrlings and candidates, Lexien of Green Quth's well-meaning but overtly venomous defense of her students ended in her being fired from her position. The Goldrider seeks to replace the teacher ranks to return traditional standards to the Weyr that has decidedly broken from those old restrictions. This has resulted in many of the Weyrlings outright revolting against her rule and her words, continuing to seek out Lexien for their lessons, with the Planetcrackers defending their surrogate mother at all costs. As the summer crawls on, many are worried for the state of Fort Weyr. With an outright declaration of war from High Reaches, is the Peacekeepers Age over? And what of the strangely absent Threadfall? It has been several months without a sight of the strange threat. What will come from this omen? The months have been unkind to Fort Weyr. In the span of a short few months, High Reaches has outright attacked, and lost many of their wings to conflict. It seemed that the last push of the mad Weyrwoman has sealed the weyr's doom. Dragonriders fled High Reaches in droves, including an unknown gold. The dragon and her rider, identified as Tysam of Gold Rhunith, betweened into active Threadfall, and died on the hatching sands of Fort Weyr. More terrible secrets from High Reaches started to come to light, and after a terrible Threadfall, the weyr was left with very few dragons to protect their holds. Fort Weyr has fended off their attacks, and with the final charge of Golre and her mad entourage of bronzes, finally ended the tyrant's hold for good, but not without a great cost of several of their own, including Brown Emmeth, one of Fort's most beloved teachers. This has left an entire section of the North open and empty. As Peacekeepers, Fort Weyr has decided that they will take charge of rebuilding. They are sending a group of chromatic dragonriders and weyrfolk willing to rebuild High Reaches, starting with just teaching that dragonriders are not the tyrants that Golre prompted. Relearning is a long road, and there will be a long time before Pern is back to some semblance of normal. But all is not tragedy on Fort! Beryl Rickesk, the unique wher, laid three healthy eggs, all of whom impressed! A green, a new garnet, and a white. The wherlets were greeted with joy and celebration, though the event was dampened by Lady Ellaren allegedly stabbing Lord Evander. While there were only few witnesses, some don't believe that the woman would do so. She has disappeared from Fort Hold, though Evander has still survived. What will happen to Fort Hold? Perhaps there will be a new leader there soon. Gold Imorith has given Fort Weyr a second clutch for the season, caught by Bronze Eberhardth. The eggs, while all monochrome and confusing, appear to be healthy. Hopefully there will be hope for Fort among them. The rebuilding has begun, and the Peacekeepers Age appears to be on the mend. The Northern Continent has survived the winter! Despite the harsh conditions, Fort Weyr celebrated the arrival of twenty-one new dragonets, including a much needed gold. Though one candidate died in the event, all dragonets impressed successfully, and Imorith produced a strange mutation dragon, proving that she is definitely Cabadath's daughter. The Planetcracker Weyrlings are close to graduating, and many have been buzzing about their surrogate mother, Green Quth, laying eggs! The green had been chewing firestone, and has surprised many with three eggs suddenly. While many think that the eggs won't hatch, a Touching may have proved them otherwise. Not everything is great in Fort Territory. With the attacks on Lord Evander, the man has started to close off Fort Hold, withdrawing from rational thought and chasing out anyone who dare disagree with him. It is rumored that he has had many killed for disobeying his orders. Is Evander going to drive the hold into the ground? Maybe he is going to lose his mind first. High Reaches is still slowly being rebuilt. Under chromatic leadership, the borrowed dragonriders have been holding their own, and trying to quell the unrest and fear that the strange new territory has brought them. When rumors of Green Quth clutching came to them, Th'rawn of Blue Rovelloth has lead the charge to try to allow greens to abstain from firestone in the hopes they could replace Gold and Bronzes. There is no telling that the plan will work, but many are so against metallic leadership that they are more than willing to try. With the spring thaw, both Fort and High Reaches seem to be recovering. Both weyrs will need to work together to repair the extensive damage done by time. The Peacekeepers Age is recovering, now is the time to stand strong. Luck and misfortune go hand in hand at Fort Weyr. Though Green Quth's eggs hatched healthy, including a strange mutation, the night of the feast, Kallia of Gold Imorith was poisoned and both perished. This has left Fort with two weyrling golds. Though Gold Keahith should rise soon, there is enough uncertainty and fear in the weyr that some are worried about such a young, possibly power-hungry Weyrwoman wishing to keep her rivals far and her power strong and absolute. The stability of Fort Weyr is threatened once more, made worse with Thread looming just overhead. Allies have not left them, however. Ista continues to provide support, and though Benden has sent dragonriders, not all newcomers are welcomed with open arms. Fort Hold has recently been 'attacked' by the Golden Ghost. The monstrous wher invaded the hold, calling for wherhandlers to abandon Evander and run off to Fort Weyr. Several handlers have already deserted, leaving the man more than a little furious. He's begun massing wher candidates, and sending out the call for any merchant who can provide him with large wher eggs. What madness could he be up to? In the north, where High Reaches Weyr is recovering, there is a sense of renewed hope. Many are willing to try allowing greens to clutch, though they are lacking in dragons to just protect the Weyr from falling thread. Telgar has provided support during Threadfall, and Igen's Junior Weyrwoman has expressed interest in visiting. Many eyes are on the new change, and many want to see how the weyr will change and grow from here, and support continues to flow to High Reaches without stopping. The Peacekeepers Age is on shaky footing, and it needs all the help it can get. With the passing of Kallia, the former Weyrwoman, Fort Weyr was left in temporary turmoil. However, Gold Keahith rose soon after, filling the power vacuum left behind. M'rnei of Bronze Eoreanth caught the new Weyrwoman pair in her maiden flight, offering his experience to the Weyr - but how will people feel about a Bendenite leading the progressive people, with the colorful history between Fort and Benden? While the new Weyrleading pair continue to the investigation into the poisoning of the former Weyrwoman, they now face the struggle of an investigation in the murder of E'li, one of the Wingleaders of Fort. Tensions have been high, but among the scare has been a glorious hatching of Gold Keahith's maiden clutch. 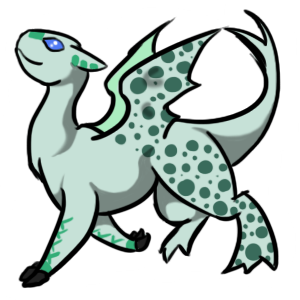 21 healthy dragonets have joined Fort's weyrlings, eager to see how Pern will change for them, or how they will change the world. Meanwhile, the progress at HR continues slowly but surely. The gold egg donated from Telgar sits on the Sands, but no one is sure if it will even hatch. And everyone is bubbling with rumors of the unusual Flight that took place - a green, flying a Gold?! Even stranger, what appears to be a viable clutch on the Sands! What does this mean for the future of the Weyrs, and for the Peacekeeper's Age at large? If greens and blues are capable of catching gold, does this mean that there is no future in the north for bronzeriders? It is hard to tell, and there is much that can be done and disrupted. With Threadfall on the horizon, the Peacekeepers Age is being tested. The months have been rather quiet. Fort Weyr has been stable, with a group of weyrlings graduating to the fighting wings. Imorith's second to last clutch has grown into great dragonriders, and surely have done her memory proud. They will be strong fighters and surely be a great addition to Fort's fighting wings. Hurrah! Fort Hold has continued to withhold tithes from the Weyr, and both sides have gotten both antsy and displeased. With the recent cattle theft, the Hold has begun to suspect that the Weyr is making their move. Will this tip the scales between the two, and will a minor conflict ignite the fires of warfare again? High Reaches has begun to adjust to having a gold in their ranks once again. While Otohith has thus far proven not to be a tyrant, there are still many who believe that she will follow in Vizeth's footsteps by virtue of being a gold. The weyrlings from Telgar are graduating to the newly-formed wings, and there are high hopes for the greens who are not chewing firestone. Hopefully they will be able to bolster their flying ranks before the winter wanes into the first Threadfall of spring. The Peacekeepers Age is being tested. Tensions have boiled over at Fort Hold. Multiple factions, fed up with the way that the Hold was being run, chose to take action. With a raid started with a one-handler charge Evander, the Lord Holder was killed by Garnet Kelsk in retribution, being the first to reach the tyrant during the raid on the Hold led by the Fort Weyr wherhandlers to free those unfairly imprisoned at the Hold. With the Hold now leaderless, who knows what will come with the power vacuum? A successful wher clutch was laid and hatched at High Reaches, creating the first wher clutch since Golre's fall! A strong group of new wherhandlers to bolster the ranks will help rebuild the terrible state of what the Weyr used to be. From the Reaches also came the first clutch from a Garnet dragon, one not chewing firestone. Three eggs joined two eggs from a weyrling green who rose early, providing a small batch of new dragonets. Will greens and garnets be able to help supplement their wings until Otohith can rise? And what about the rumors that goldriders only bring tyranny? Surely that is not true. Threadfall looms with the pending spring, and with the pass so early, it promises to be another rough season. Many at Fort Weyr are counting down to when Keahith will rise next, and others are bracing for Serapheth's maiden flight later in the turn. On the sands lay a clutch of four eggs from a mutation dragon, one who rose early. The coming months will tell what this means for Pern. Is this a break in the storm, or is there finally a calm settling over Pern? Only the coming months will tell. Benden Weyr has decided to meddle. Danse of Gold Macath has transferred in, and Fort Weyr now has two Senior golds. Attempting to handle two firecrackers leading, Macath has risen first and given the weyr a healthy clutch. There is talk of Keahith rising soon as well. Right now, there is no worry of conflict other than Danse and Lanian butting heads... but now come the end of spring, Tuckal of Gold Serapheth has graduated. The so called mad-gold has her eyes set on Senior leadership, and everyone has agreed to never let this happen. Fort Hold still remains without a leader, and no one has stepped in. Some wonder if the Hold will remain in limbo forever, or if the Weyr will step in and appoint a new bloodline. Lady Ellaren has still missing, and perhaps may never return. What will the Hold do with no leader and disorganization? With a light threadfall crossing the continent, many are pleased and yet are worried that there will be no peace and the next fall will only be more horrific. The calm has come to Pern, and everyone hopes this is permanent. What trials the Age has endured in the past few months! Gold Macath blessed Fort Weyr with a healthy clutch, enjoying her Senior rank... only to almost immediately lose the rank after a fight between her and Gold Serapheth. The two queens were separated before they could harm one another too badly. Fort cannot withstand the loss of another gold to violence or assassination, and while many believe that Serapheth is a curse, there is no denying that Pern needs all the golds it can get. High Reaches, despite the low supplies, is still thriving. There is a lot of hope riding on this Weyr, and many are impressed with the progress that a chromatic-lead Weyr has made. With threadfall incoming, there are concerns that there won't be enough dragonriders to handle the threat hanging over their heads. Though the last fall was somewhat mild, there was still a significant blow in the loss of one of their wingleaders. To add to such problems, there has been a wild gold wher stalking around the territory. Unlike Fort's somewhat benevolent Golden Ghost, this creature is not interested in anything but violence. The nightmare of Fort Hold is over. Daegarethe, the former Steward, has become the new Lord Holder. She has quite a task ahead of her, undoing the amount of damage that Evander did during his reign of tyranny. Many are optimistic and hoping that the relationship between the Weyr and the Hold will mend for the better. With a conclave coming on the heels of threadfall, the leaders of all the weyrs will need to determine how to move the age forwards. Hopefully, things will change for the better. The Peacekeepers Age is moving forwards. Times of change continue to rise in the Peacekeeper's Age! Autumn has brought with it the first Garnet clutch from a dragon chewing firestone, a healthy three eggs. While this seems small, there are whispers of concern among the Weyrs - will Garnets being able to breed this freely cause overpopulation, especially with Gold clutches remaining so substansial? Some seem to think it will balance out while others are immensely concerned about the risk of food and space shortage, particularly after the harsh summer not even a Turn past. Another Conclave of the Weyrs has begun, and with it the potential for policy and weyr rules to shift. There are many bets riding on what tempers, if any will flare, and valid worry over Weyrs ending up at each other's throats once more. Clutching, leadership policies, and much more are all being discussed - items that could rewrite the Weyrs of Pern as it is known. Through all of this, a heavy tension seems to hang in the air, but no one seems to know about what. There is stillness across all of Pern, as if everyone is collectively holding their breath. Tempers are roiling just below the surface, fear of the unknown is around every corner, and the differences of Traditionalists and those in favor of the New Ways are beginning to come to a head. Winter has finally passed, and with it comes spring thaw and disaster. A heavy Threadfall has crippled both Fort and High Reaches, with a high number of dragons suspected to be dead. The weyrs are desperate to recover and rebuild their numbers. Fort Hold, in the meantime, is mysteriously quiet after the events of Evander's removal - what is going on? Several riders who were injured and pulled Between have woken up in a strange land full of sunshine and unusual life. Where are they? How did they end up here? What will it take to get home...? What will come in this uncertain time in the Peacekeeper's Age?